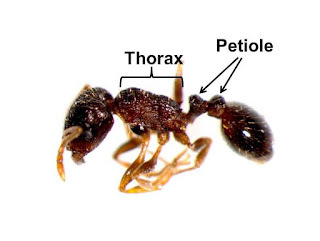 When identifying ants, first determine how many segments the petiole (the section connecting the abdomen with the thorax) is, one or two. Then depending on the ant, other characteristics such as the shape of the thorax, number of segments in the antennae, and presence or absence of spines, can also be important. Be careful about using size and color to identify ants as that is often not an accurate method. If it is not apparent what kind of ant is being encountered, submit a sample (which could also be a picture) to an expert for identification. Once the ants have been identified, it is easier to understand the options available for controlling them. Good sanitation can help reduce the number ants that are attracted indoors. Keep kitchen surfaces clean, rinse recyclable containers before storage, and regularly take out kitchen garbage. Keep in mind that if the ants are nesting indoors (probably true when ants are sighted this early in the spring), this may not reduce the number of ants that are seen. The best method for controlling ants is delivering a toxic dose of insecticide into their nest. Spraying the ants that are seen foraging around your home is a short term solution that does not affect the nest. Just a small number of workers from the nest are out searching for food so it is not possible to destroy it through attrition. 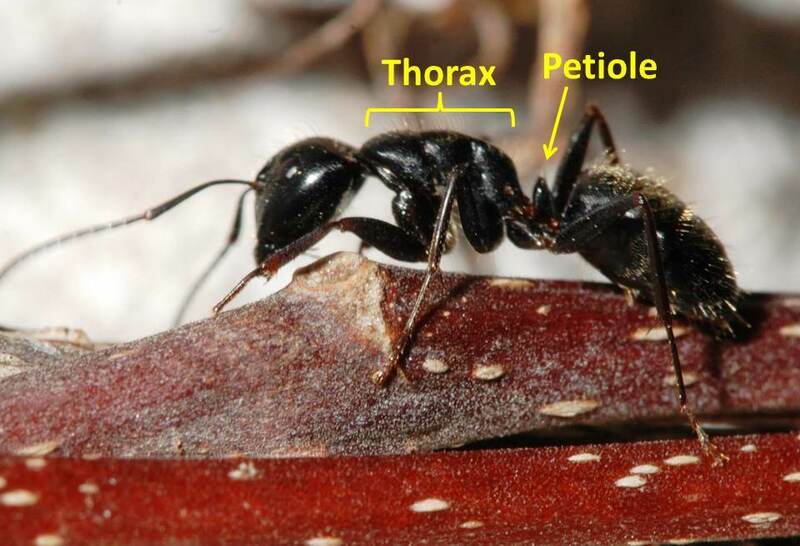 Depending on what ant is present, it may be possible to apply an insecticide directly into the nest. This becomes more complicated when the ants are nesting in out of the way places, like wall voids or under concrete slabs. Sometimes the most effective treatment is baiting them. The foraging workers consume the bait; take it back to the nest where they share it with the other ants. If enough bait is taken back to the nest and the queen is also killed, the nest can be eradicated. However there are a variety of factors that can influence the success of baits, e.g. they are not attractive to the target ants, there are competing food sources, more than one nest is coming to the bait, and not enough bait is available, so baiting may not always be effective. If ants continue to be a problem despite the steps taken by a resident to control them, they should consider contacting a professional pest control company to treat the ants. They have the experience and access to the necessary resources to more effectively control ants. For more information see What to do about household ants and Carpenter ants.